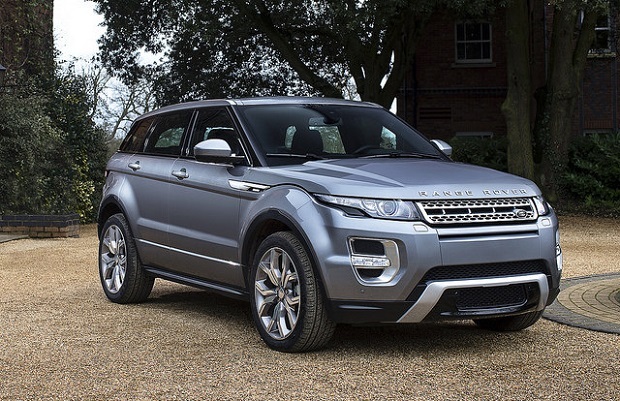 Home / Car News / What Does The Range Rover Evoque Evoke? What Does The Range Rover Evoque Evoke? Reviews are just starting to pop up for the new Range Rover Evoque. What type of feeling or memory does it evoke in anyone willing to sit in the driver’s seat or put down the cash to buy one? Mixed feelings that’s for sure because if you want a car that feels rugged and looks like it can handle the rough and tumble off road, this probably isn’t the car for you. On the other, hand, if you want a car that feels powerful and yet never throws its weight around, is big enough to fit a family comfortably and yet can still slide through city traffic, this could be the perfect choice. That’s exactly what the Range Rover Evoque is. It’s the perfect 4X4 SUV for someone who…doesn’t really want one. 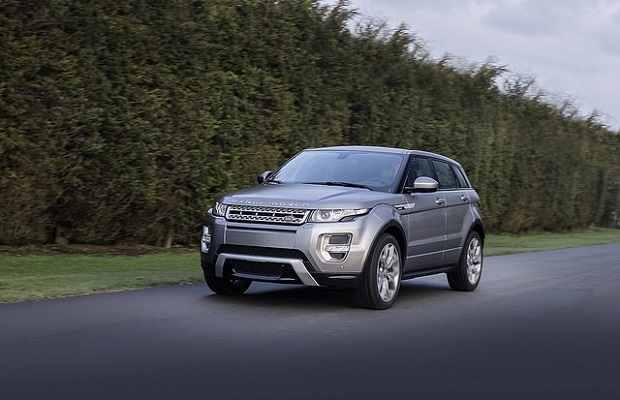 If you peruse the Evoque you’ll see that it is absolutely stunning and yet quite minimalistic. There are no particularly striking features that will make your car stand out on the road. Not on the exterior at least. The whole car has been nicely rounded to make it seem soft, gentle, dare we say playful. It’s the type of car that looks like it could be a lot of fun to drive, and it is. We’ll get to that further down because while the vehicle isn’t as big as some of the other SUVs, it’s still quite impressive. Put it this way, if it comes to the point where you meet another car on a narrow street, you won’t be the one reversing. You’ll have the power and stature to proceed forward and force the other hapless driver into a difficult maneuver. What about off road? 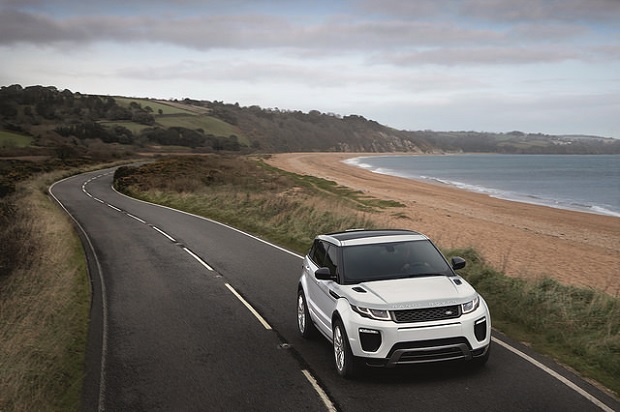 The car can handle heading off road like any other Land Rover, to an extent. It’s admittedly, not quite as powerful as it’s bigger, badder cousin. But let’s face it, this car was never supposed to be. This vehicle isn’t for people who want to rip around the countryside on a Sunday afternoon. It’s for those who want to drop off their kids at school and drive on to the office. The look says it all. This is an SUV for the city. Do you like a little luxury in your vehicle? You won’t be disappointed with the leather interior of this machine. If it looks warm and fun on the outside, getting in is like being greeted by a big hug. You’ll sink straight into the leather seats and immediately feel right at home. If you want, you can get the 3 door version and make sure that your SUV also feels super. But, with four doors there is plenty of space for the kids to sit happily too. You can even get extra features of the typical family car like screens in the back of the seats. This could be a fantastic vehicle for long journeys. It’s also nearly twice as expensive. You can pick up an Evoque for just over forty grand which is a fantastic price. And though the power and design certainly matches that tag if you’re not planning on pushing your car to the limit there’s no reason not to get this vehicle. It’s a very pleasant drive at a cheerful cost. You’ll also be pleased to hear that the insurance is cheaper too. Even insurance sites like Money Expert known this car isn’t really a Range Rover. But maybe that’s not such a bad thing. If you’re looking for a car that could take you off the road but you have no intention of taking it up on that offer, this is the one. If you want a vehicle where you can cruise quite gently in a large vehicle and enjoy an easy ride, choose something like this. However, if you are looking for a vehicle where you can push the acceleration, throw it around the bends and generally test your courage and bravery, you might be better looking elsewhere.